Let’s get into summer with some interesting facts and moments! Today’s post highlights our five longest journeys. 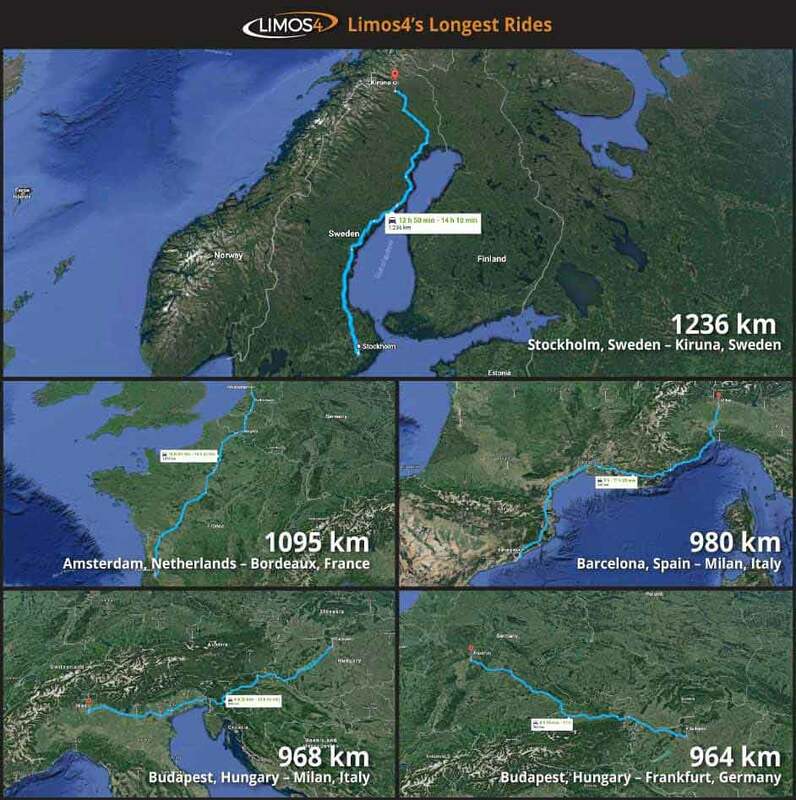 Even though most of our clients use the Limos4 service for relatively long distances, few customers choose to go beyond several hundred kilometers. The five longest rides exceeded 900 km and were mainly taken from one country to another. We are happy to have been part of such long and uncommon transfers. We look forward to providing the next record-breaking ride. What would be your pickup location and destination if money and time weren’t a problem?